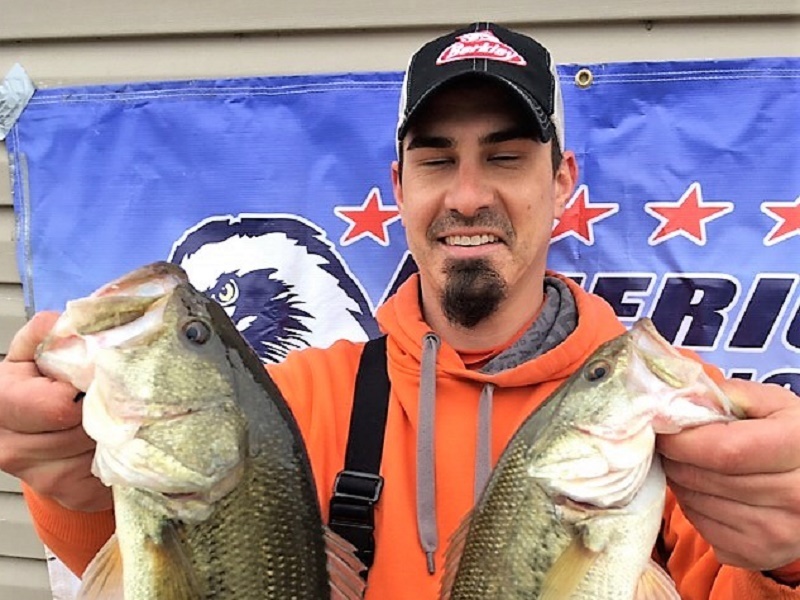 Bryan Jackson proved bass do bite in 40 degree water on Grand lake. The opening tournament of Division 65 on Grand Lake for the Bass Pro Shops Fishing Tour occurred Saturday, March 2, 2019, with 10 anglers competing in tough water and weather conditions. 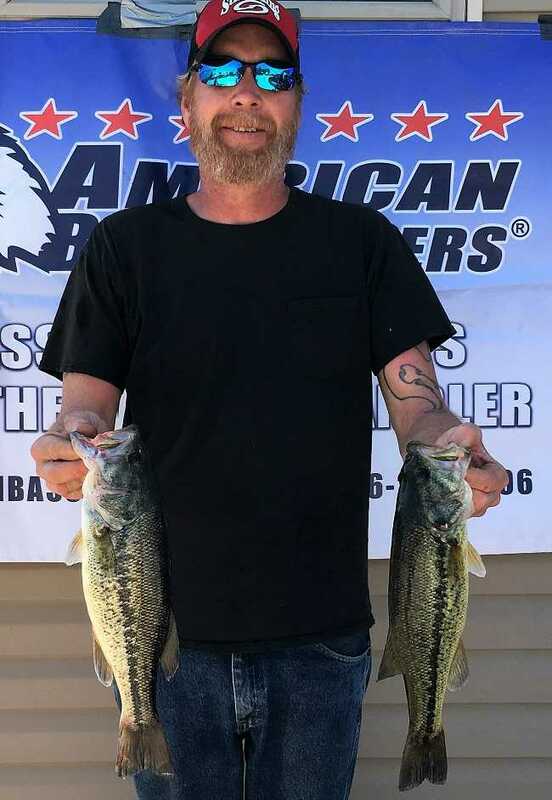 Bryan Jackson of Monett, MO, took the win with 2 fish and a total weight of 5.18-lbs. 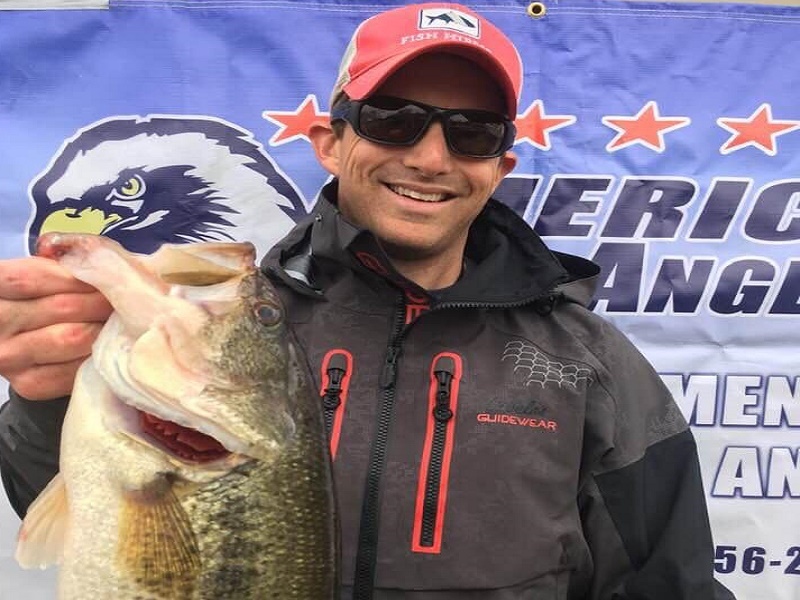 Division 65 American Bass Anglers’ fourth tournament out of Tera Miranda occurred on Saturday, May 19, 2018, with an unusually hot, steamy day for spring fishing in Oklahoma. Gene Childers of Vinita, OK, took first place honors and over $300 in cash prizes with a five fish limit and a total weight of 12.84 lbs. including big bass honors with a fish weighing 4.04 lbs. 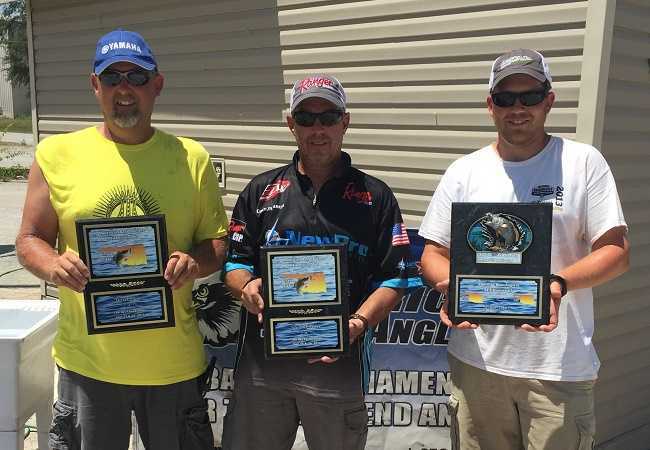 Division 65 American Bass Anglers’ third tournament out of Tera Miranda occurred on Sunday, May 6, 2018, with a beautiful, balmy day in the 80’s. Mike Franks of Bartlesville, OK, came in first place with five fish and a total weight of 8.56 lbs. Kenny Reedy of Joplin, MO, garnered big bass honors with a fish weighing 2.52 lbs. 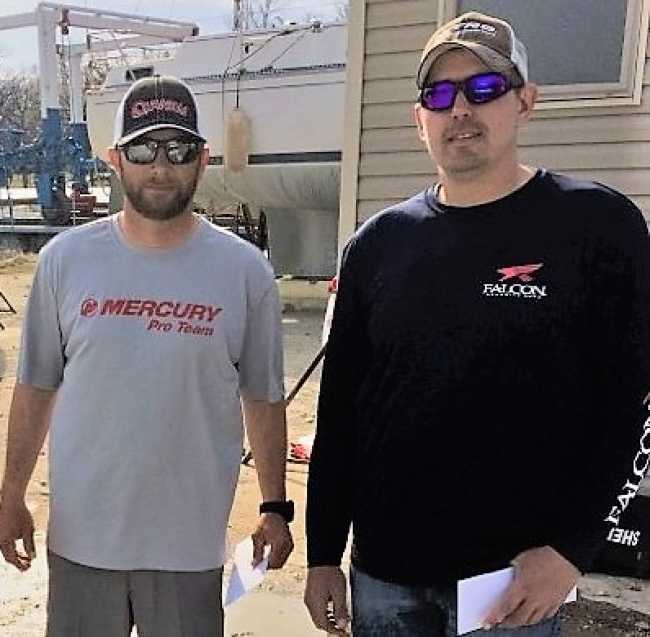 Division 65 American Bass Anglers’ second tournament out of Tera Miranda occurred on April 21, 2018, with a cool, chilly day but calm winds. Kenny Reedy of Joplin, MO, came in first place with two beautiful 4.5 lbs. bass and a total weight of 9.32 lbs. Reedy also garnered big bass honors with a fish weighing 4.68 lbs. and total cash prizes of $368. Second place went to Chris Jeffrey of Sedan, KS, with three bass weighing 8.22 lbs. 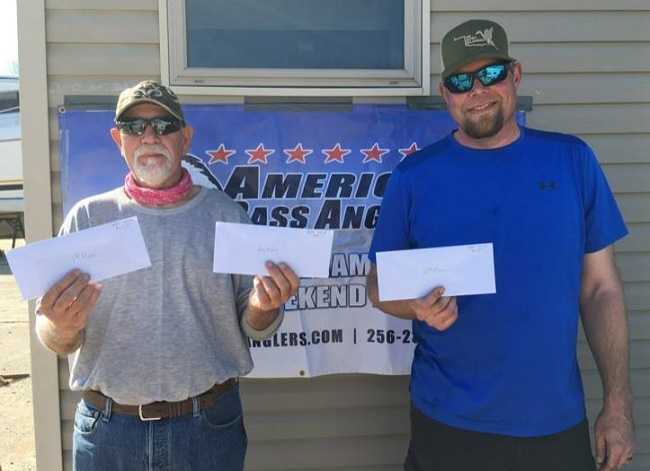 The opening tournament of Division 65 on Grand Lake for ABA’s American Fishing Tour occurred Saturday, March 3, 2018, with a beautiful, clear day in the mid-60’s. Thirteen anglers competed in tough water conditions after some late winter flooding on Grand Lake to produce fish. Only three boats were able to weigh in fish. The leader, Gene Childers from Vinita, OK, weighed three fish to win with a total weight of 9.12 lbs. 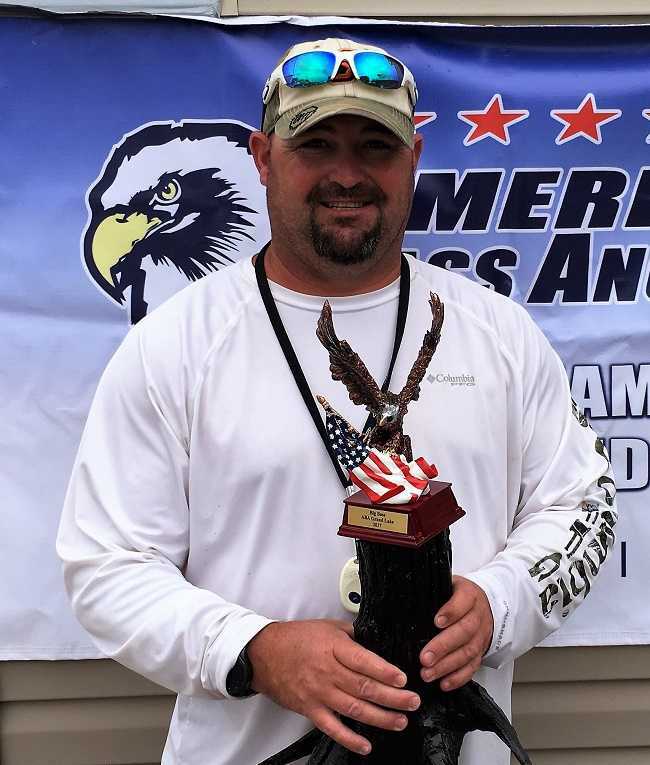 Paul Spoon of Edmond, OK won the Ram American Fishing Tour, presented by American Bass Anglers Oklahoma Division 65 2-day Championship held September 16th-17th, 2017 on Grand Lake. Blasting off from Tera Miranda near Afton, Ok Paul brought back a five-fish limit on day one that locked in the scales at 10.42 lbs. He anchored his first days catch with the big bass of the tournament, that went for 3.52 lbs. After a week of 90 degree weather on Grand Lake, a northern cold front settled in before the tournament. 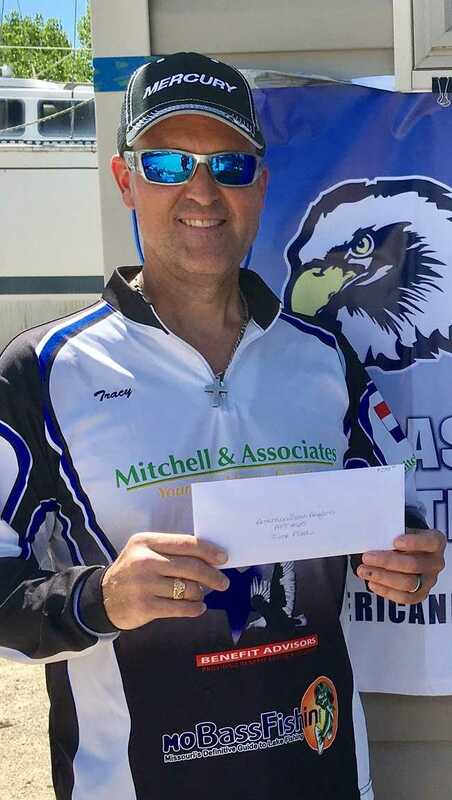 Tracy Mitchell of Joplin, MO, was able to take advantage of the nice cool summer day and take the lead in The Ram American Fishing Tour division #65’s 2017 tournament series. Mitchell received first place honors and the $288 cash prize with a 5-fish limit for a total weight of 11.16 lbs. 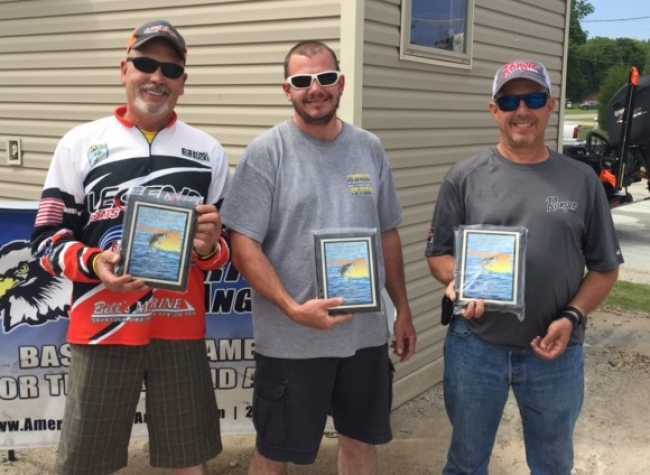 Tracy Mitchell from Springfield, Missouri conquered another windy day on Grand Lake to take first place in the AFT D65 event held on April 8th. With afternoon winds in excess of 30 miles an hour, he was still able to land four nice fish with a total weight of 14.26 pounds. Mitchell Webb of Skiatook, Oklahoma overcame 30-40 mile an hour winds on Grand Lake to dominate the full field of 21 anglers on Saturday, March 4, 2017, in the opening tournament of the AFT D65. Webb weighed in five fish for a total weight of 17.52 pounds. 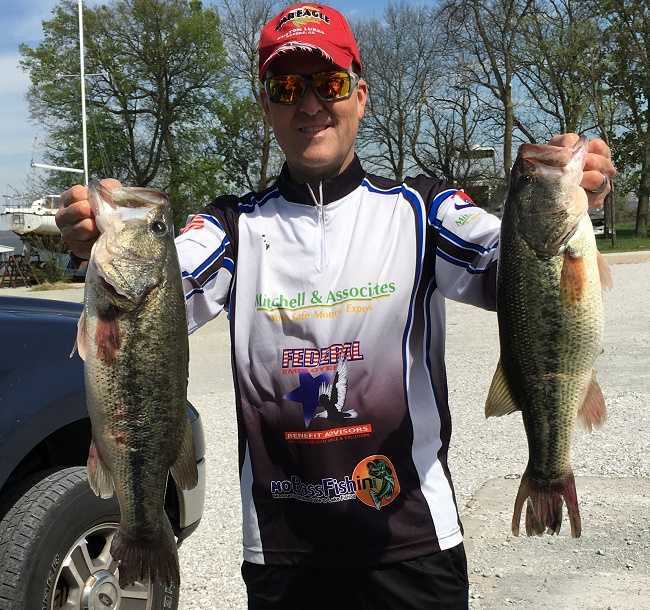 Nick Kincaid of Coweta, Oklahoma won the two day D65 Championship at Grand Lake on June 25th & 26th. Kincaid charged from seventh place after day one to claim the title on the strength of a 15.02 pound bag on day two, including big bass. Kincaid pocketed $915 for his effort with a total weight of 24.01 pounds. 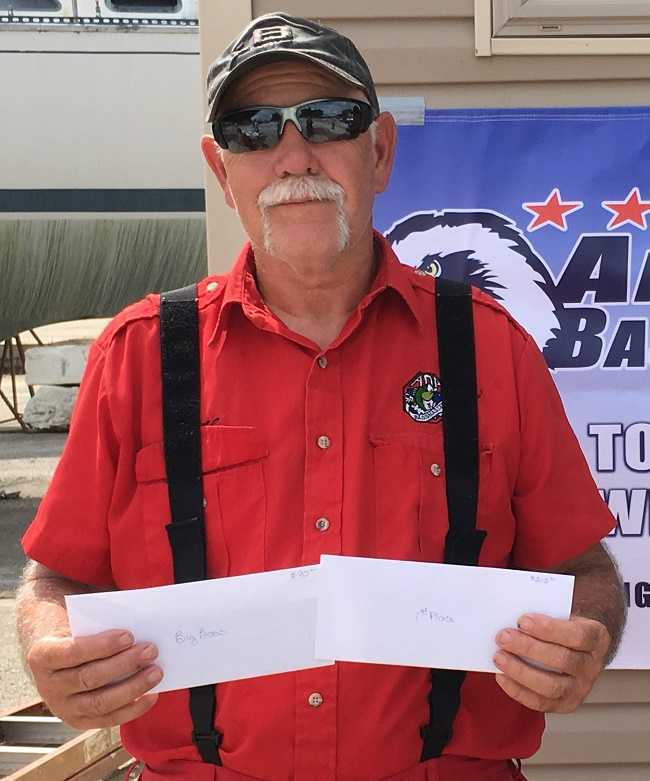 Bill Stines won the Ram American Fishing Tour District 65 qualifier, presented by American Bass Anglers on May 15th at Grand Lake, Oklahoma. Running out of Tera Miranda Resort, the Skiatook, OK angler brought in a five fish limit weighing 15.21 pounds. At launch it was 46 degrees with calm winds. The day warmed to near 70 with sunny skies and a brisk east wind with heavy recreational traffic and tournament pressure. Only two anglers brought in a five fish limit. Preston Cook, of Grove, OK, had the hot hand at Grand Lake on Sunday, April 17th. 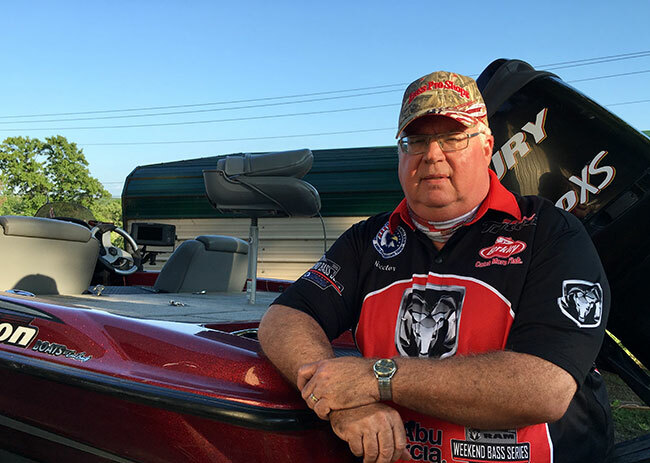 Cook won the Ram American Fishing Tour Division 65 tournament with a five fish limit weighing 16.20 pounds to collect $500. 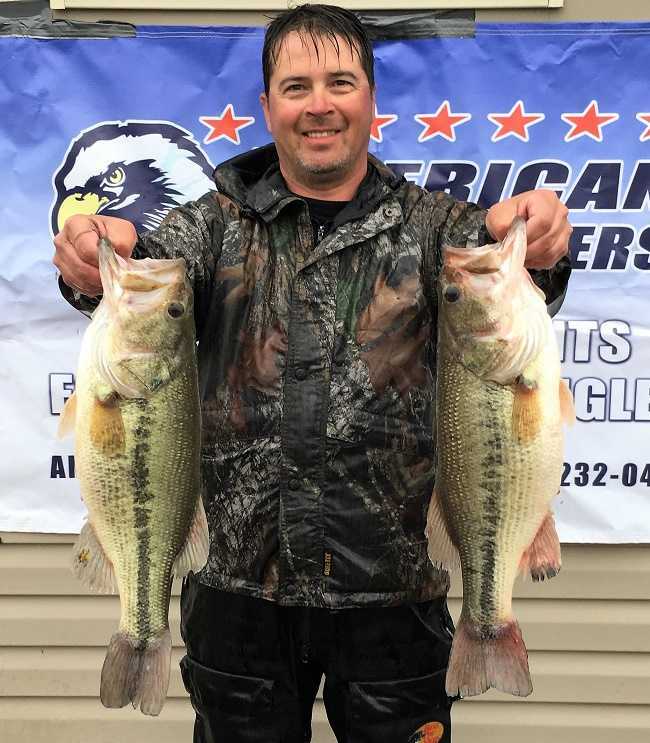 Mike Traw of Farmington, AR brought in the only five fish limit of the day for the Ram American Fishing Tour Division 65 event held February 21st on Lake Tenkiller. With temperatures in the low 60's at launch, the day warmed up to the 70's by weigh in with a brisk Northeastern wind. It was a tough bite, more than half of the field was not able to bring in a keeper. 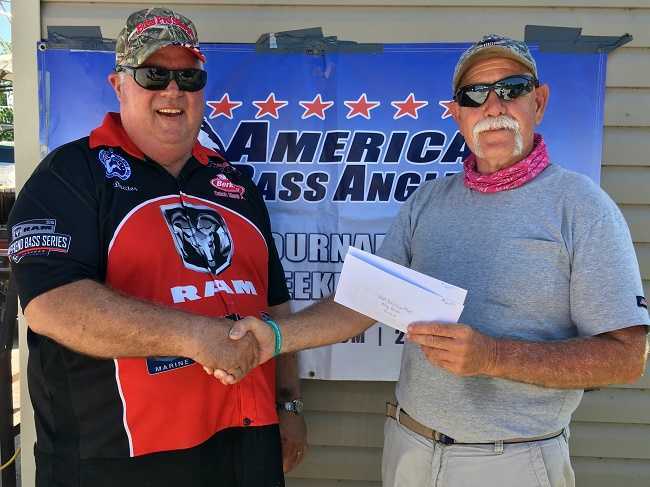 Winner, Mike Traw, weighed in a limit of 16.37 pounds to collect a check for $539. Second place, Lane Kindle brought three fish to the scales for a total of 10.49 pounds and $317.Third place, Cooper Hall was able to catch two keepers for a bag of 6.36 pounds, earning $101.